The global market for automated endoscope reprocessors market is growing at a stellar rate and is likely to continue during the forecast period 2018 – 2028, owing to aggressive growth in the healthcare sector. Incessant rise in demand for minimally invasive surgical procedures and endoscopy throughout the world is likely to help the market grow exponentially. Rise in prevalence of various infectious diseases across the world is expected to increase the demand for effective endoscope preprocessors. The market is likely to ride on the back of surge in investment to develop the healthcare infrastructure of developing countries. Better results obtained from using automated endoscope reprocessors is expected to attract people, which will rise the demand in market. 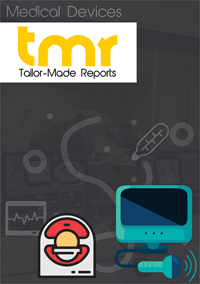 Surge in number of gastrointestinal diseases in various parts of the world is expected to boost endoscopic procedures thus driving the automated reporcessor market. Need for several changes in the automated endoscope reprocessors will help to bring down the risk of transmission of infection linked to endoscopy. In order to deal with infections in hospital and with an aim to control them, the adoption rate of endoscope reprocessors have increased significantly. Automated Endoscope Reprocessors improves consistency and reliability of endoscope reprocessing by normalizing various reprocessing steps, this descends the chances of any human errors. These have helped in obtaining accurate results over the years. Using automated endoscope reprocessors prevents human from exposing to harmful chemical germicides. This reduces the chance of any human disorders. Growing popularity of portable automated endoscope reprocessors owing to better convenience is likely to play a major role in driving the market. Preference for a lesser stays in hospital, reduced blood loss, quick recovery, less chance of getting infected, and lesser scars are other factors which are stoking the market growth. Rising awareness among consumer regarding increase in surgeries is prognosticated to favor the market growth. The global market for automated endoscope reprocessors, the important devices used widely across healthcare settings for reprocessing endoscopes and decontaminate them between uses, has gained massive traction in the past few years and continues to expand at an impressive pace. The vast rise in the use of endoscopy and minimally invasive surgical procedures across the globe, coupled with the vast rise in prevalence of a number of infectious diseases are all contributing to the increased demand for effective automated endoscope reprocessors globally. The market is expected to expand at a promising pace in the next few years also, driven at the back of rising investments aimed at the development of healthcare infrastructure in emerging economies. Some of the key factors working in favor of the global automated endoscope reprocessors market are the increasing adoption of minimally invasive surgeries among the patients, rising incidence of diseases such as GI diseases and bariatric surgeries that require endoscopy, and increasing investment in emerging economies by leading companies with the view of establishing their stronghold on untapped markets. Rising geriatric population coupled with rising prevalence of diseases that require endoscopy devices and increased health care expenditure across the globe also likely to accelerate the growth of the market during the forecast period. Moreover, the market has also been driven by the vast technological advancements witnessed in automated endoscope reprocessors in the past few years, enabling a more reliable reprocessing of endoscopes. As such, the rising popularity of new product varieties such as portable automated endoscope reprocessors owing to the added convenience provided by them is also a key factor driving the market. The rising numbers of encouraging initiatives enabling the increased availability of technologically advanced medical devices through private and public funding in a number of emerging economies are also working well for the market. Endoscopy procedures are minimally invasive, and hence have obvious advantages over open surgeries. Lesser scars, quick recovery, shorter hospital stay, less blood loss, and minimal chances of infection lead to increased demand for endoscopy surgeries. As consumer awareness regarding these surgeries increases, the demand for automated endoscope reprocessors is also expected to rise. From a geographical standpoint, the global market for automated endoscope reprocessors has been analyzed in the report for regions such as Asia Pacific, Europe, North America, Latin America, and Middle East and Africa. Of these, the market in North America holds the dominant share in the overall revenue of the global market owing to a well-established healthcare infrastructure and strict FDA regulations pertaining to medical reprocessing devices. The high number of endoscopy procedures undertaken every year in the region also contribute to the lucrative growth prospects of the automated endoscope reprocessors market. In the near future as well, the North America market is likely to remain one of the most promising regional markets, riding on the back of the rising demand for endoscopy devices for minimally invasive surgeries, rising geriatric population, and the increased adoption of technologically advanced products. The market in Asia Pacific is also expected to provide promising growth opportunities in the near future owing to the vast funds being spent on advancement of healthcare infrastructure in emerging economies, rising geriatric population, increased expenditure on healthcare, and rising disposable incomes. Some of the leading companies operating in the global automated endoscope reprocessors market are Endo-Technik W. Griesat, Bes Decon, Advanced Sterilization Products, Cantel Medical, Medivators, Laboratories Anios, Custom Ultrasonics, Metrex Research, Arc Healthcare Solutions, Olympus, Wassenburg Medical, Steelco, and Steris.